St. Romuald was born in Ravenna, Italy in the middle of the tenth century. He was a mystic who led the life of a hermit, traveling through various regions seeking solitude and establishing small monasteries. 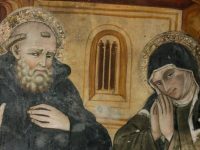 Here St. Peter Damian gives us some insight into the depth of Romuald’s prayer, the experiences of intimacy and ecstasy with which he was graced, and the tranquility of his passage into the arms of God at the end of his earthly days. Romuald lived in the vicinity of the city of Parenzo for three years. In the first year he built a monastery and appointed an abbot with monks. For the next two years he remained there in seclusion. 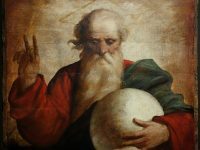 In that setting, divine holiness transported him to such a summit of perfection that, breathed upon by the Holy Spirit, he foresaw many future events and comprehended with the rays of his intelligence hidden mysteries of the Old and New Testament. Frequently he was seize by so great a contemplation of divinity that he would be reduced to tears with the boiling, indescribable heat of divine love. In this condition he would cry out: Beloved Jesus, beloved, sweet honey, indescribable longing, delight of the saints, sweetness of the angels, and other things of this kind. We are unable to express the ecstasy of these utterances, dictated by the Holy Spirit. 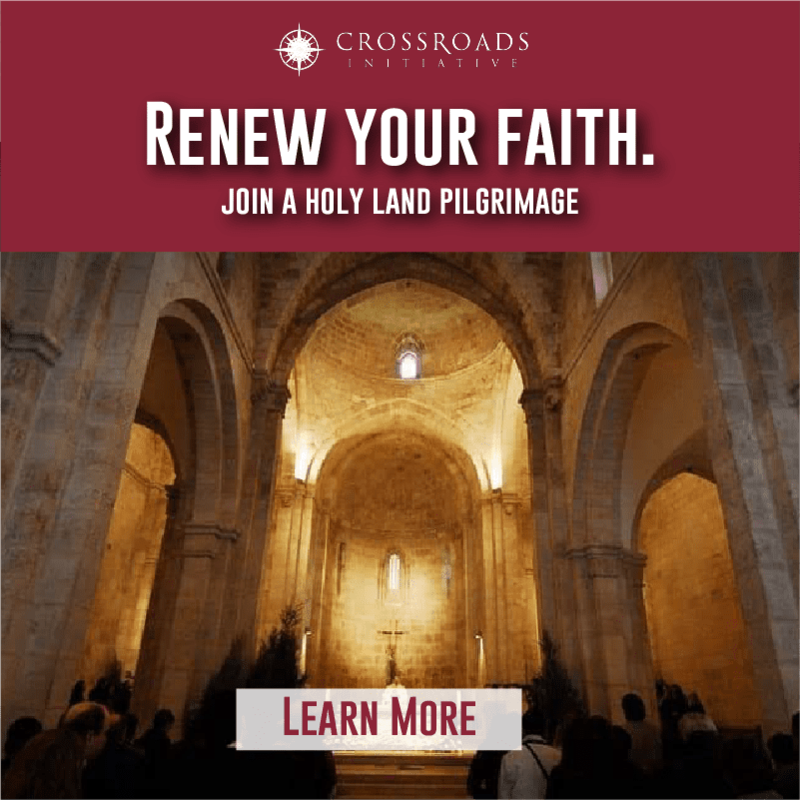 Wherever the holy man might arrange to live, he would follow the same pattern. First he would build an oratory with an altar in a cell; then he would shut himself in and forbid access. Finally, after he had lived in many places, perceiving that his end was near, he returned to the monastery he had built in the valley of Castro. While he awaited with certainty his approaching death, he ordered a cell to be constructed there with an oratory in which he might isolate himself and preserve silence until death. Accordingly the hermitage was built, since he had made up his mind that he would die there. 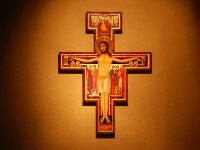 His body began to grow more and more oppressed by afflictions and was already failing, not so much from weakness as from the exhaustion of great age. One day he began to feel the loss of his physical strength under all the harassment of increasingly violent afflictions. As the sun was beginning to set, he instructed two monks who were standing by to go out and close the door of the cell behind them; they were to come back to him at daybreak to celebrate matins. They were so concerned about his end that they went out reluctantly and did not rest immediately. on the contrary, since they were worried that their master might die, they lay hidden near the cell and watched this precious treasure. For some time they continued to listen attentively until they heard neither movement nor sound. Rightly guessing what had happened, they pushed open the door, rushed in quickly, lit a candle and found the holy man lying on his back, his blessed soul snatched up into heaven. As he lay there, he seemed like a neglected heavenly pearl that was soon to be given a place of honor in the treasury of the King of Kings. 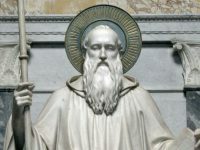 This post on the Death of St. Romuald is take from the Life of Saint Romuald by Saint Peter Damian (Cap. 31 et 69: PL 144, 982-983, 1005-1006). It appears in the Roman Office of Readings for the Feast of St. Romuald on June 19. Born at Ravenna, Italy, of poor parents, Peter did farm work and tended swine in his youth. When his great intelligence was recognized, he was sent away to study at Faenza and Parma. In 1035 he entered the Benedictine hermitage of Fonte Avellla at Gubbio, where he began to live a life of prayer and austerity. 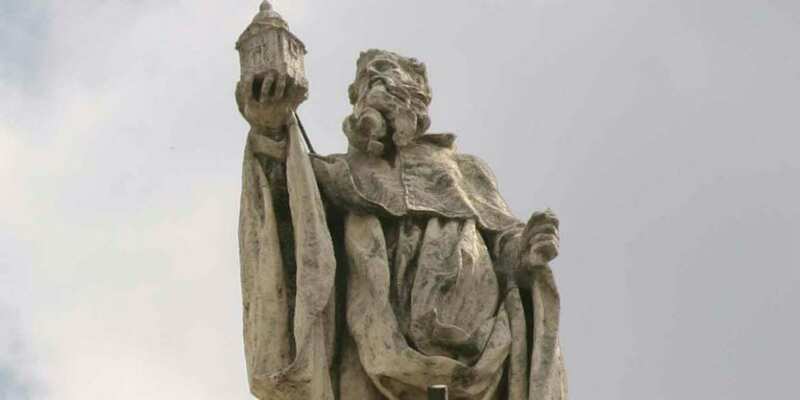 About the year 1043 he was chosen prior and spent the next several years establishing new monasteries and reforming old ones, becoming famous as an uncompromising preacher of holiness to clergy and laity alike. In 1057 he was made Cardinal Bishop of Ostia much against his will, adopting the name “Damian” in gratitude to his brother of that name who had financed his education. St. Peter was sent several times on diplomatic missions to France and Germany. He died on a journey back to his native town, Ravenna, which he had reconciled to the pope.